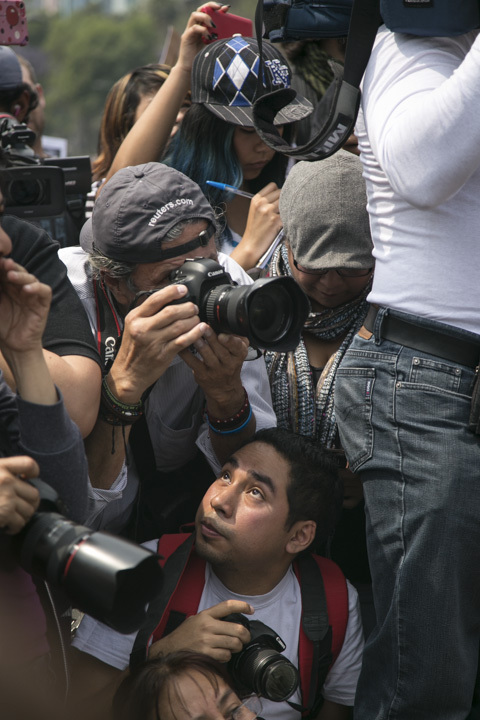 Journalists in more than 20 cities throughout Mexico went to the streets on Sunday to demand an end to threats, systemic violence and impunity that they face. 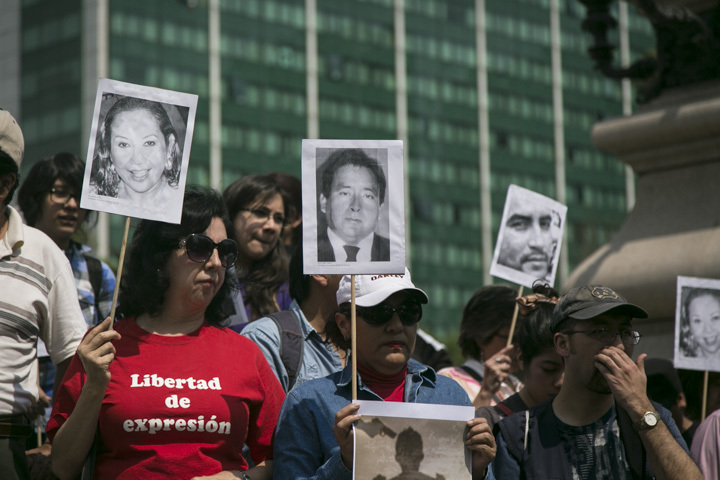 Since 2007 more than 120 journalists or media workers have been murdered or have disappeared in Mexico. 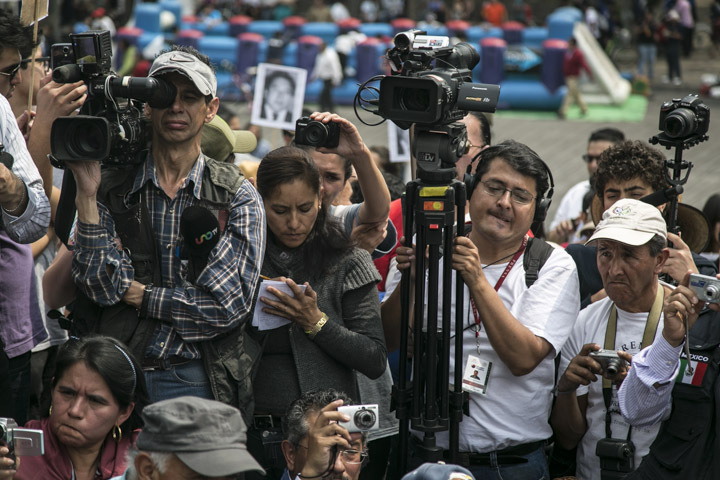 Journalists in more than 20 cities throughout Mexico went to the streets on Sunday to demand an end to threats, systemic violence and impunity that they face. 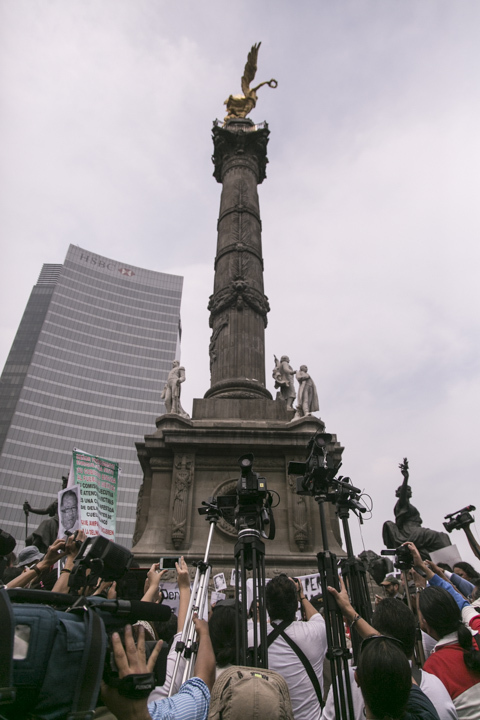 At the Angel de la Independencia monument in Mexico City, some 700 journalists, their families, and supporters from across the spectrum of mainstream and independent media gathered to express their anger and solidarity with other journalists who face violent repercussions for doing their job. 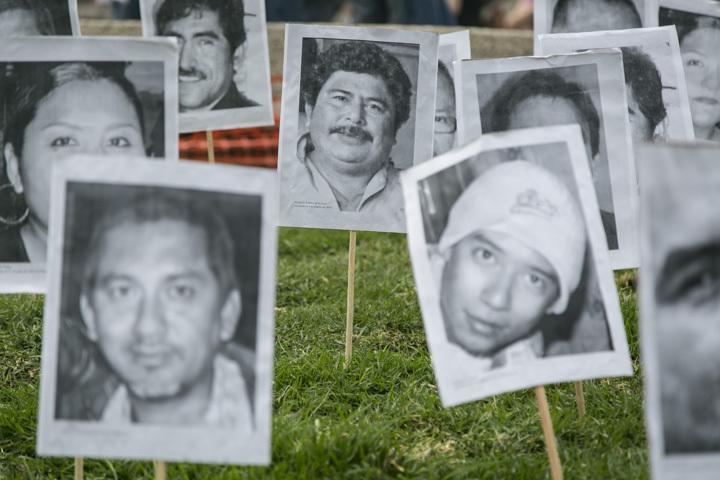 Since 2007 more than 120 journalists or media workers have been murdered or have disappeared in Mexico. 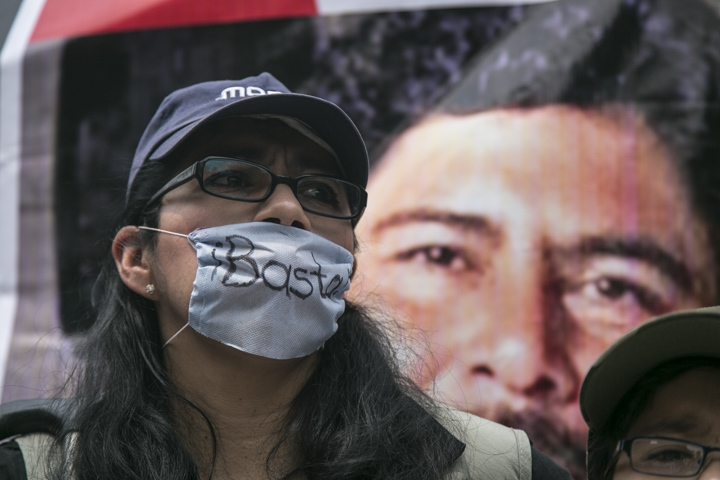 Most journalists point to these alarming numbers as being a result of systemic violence and threats, and that they demand that the authorities investigate the cases of murder or disappearances, as well as guarantee the safety of journalists. (Enough!) 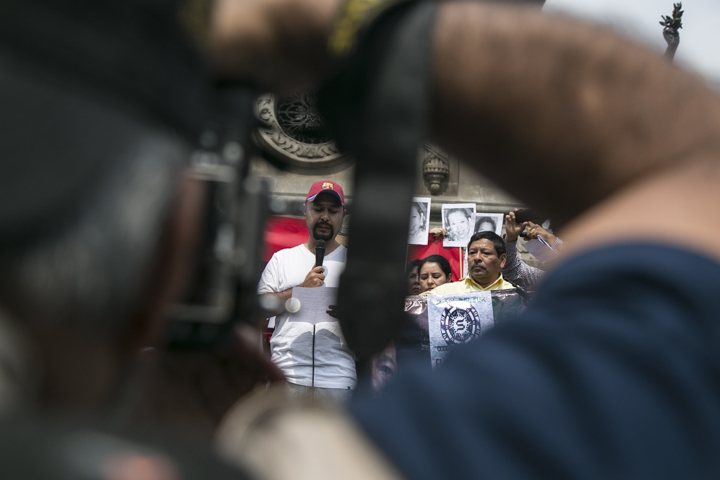 A day before the protests, journalist Felipe Madrigal from the city of Orizaba in the state of Veracruz, was detained and tortured by municipal police as he covered a street vendor protest. 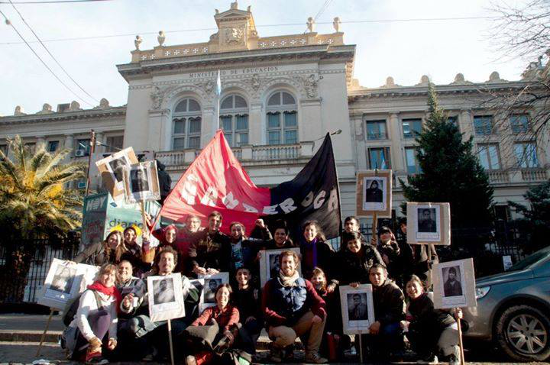 He was released the following day without charges. 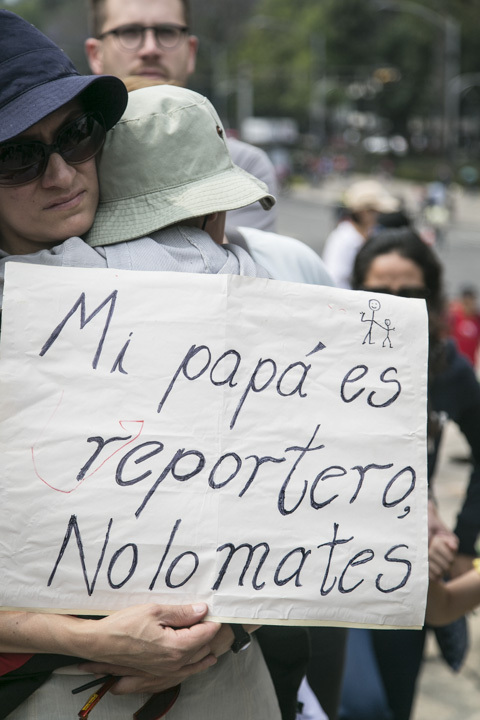 (My daddy is a reporter, don’t kill him.) 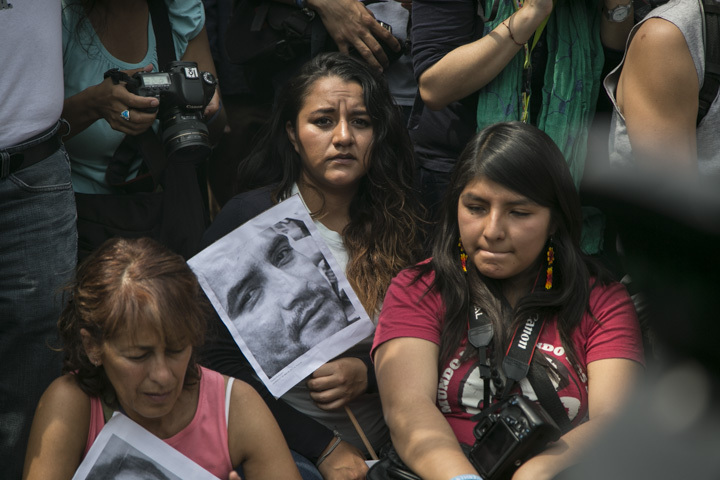 According to the Committee to Protect Journalists (CPJ), 88 percent of the cases of murder or disappearances of journalists in Mexico are left unsolved and often ignored by the authorities. 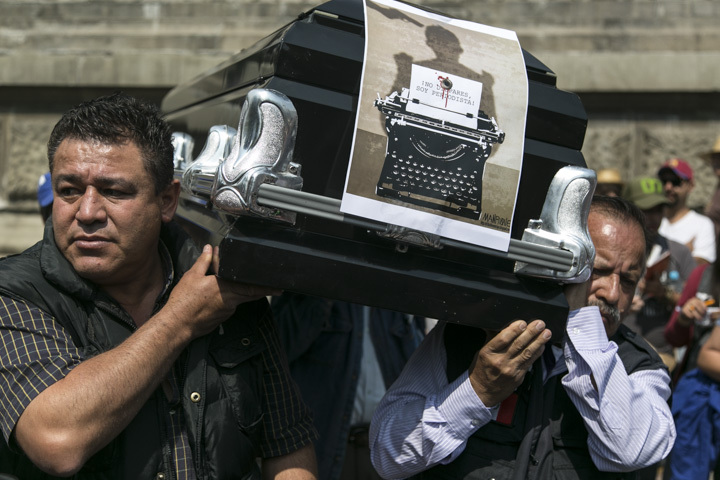 The state of Veracruz, known in recent years for a spike in organized crime related violence and state corruption, has the highest number of journalists killed. 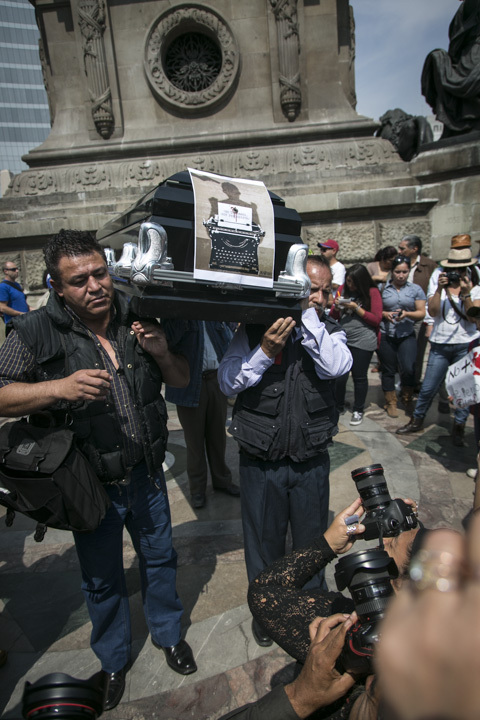 During the current term of Veracruz governor Javier Duarte (of the PRI), at least 10 journalists have been murdered. 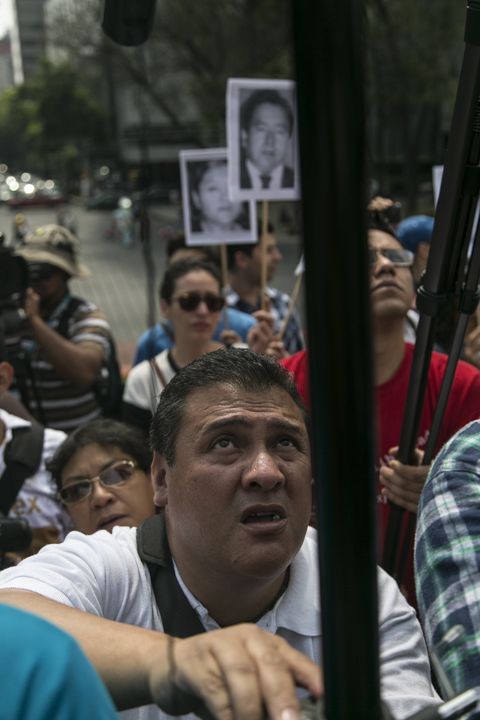 The day of journalist protest comes as a reaction to the most recent disappearance and murder of Gregorio Jimenez, a journalist from Veracruz. 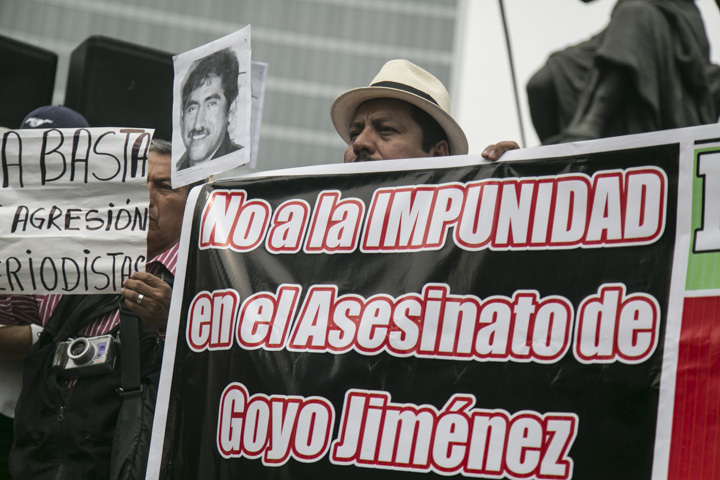 (No to the impunity in the murder of Goyo Jimenez.) 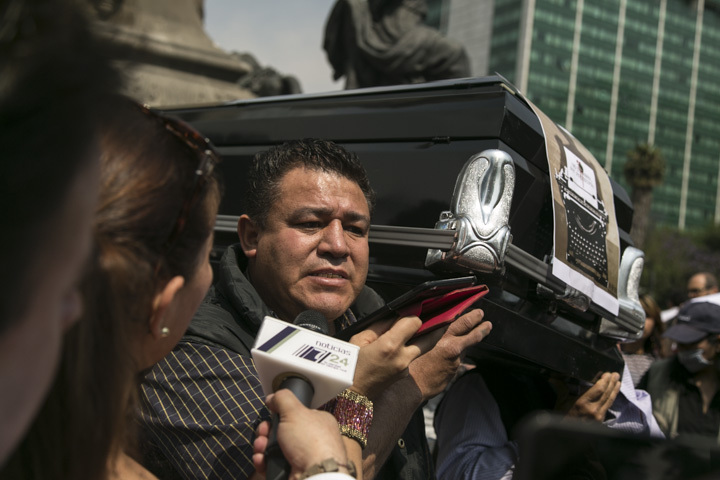 Masked gunmen abducted Jimenez, who wrote on crime and migrations for the news agency Notisur, on February 5 and his body was found alongside two others in a clandestine grave near the town of Las Choapas, Veracruz. 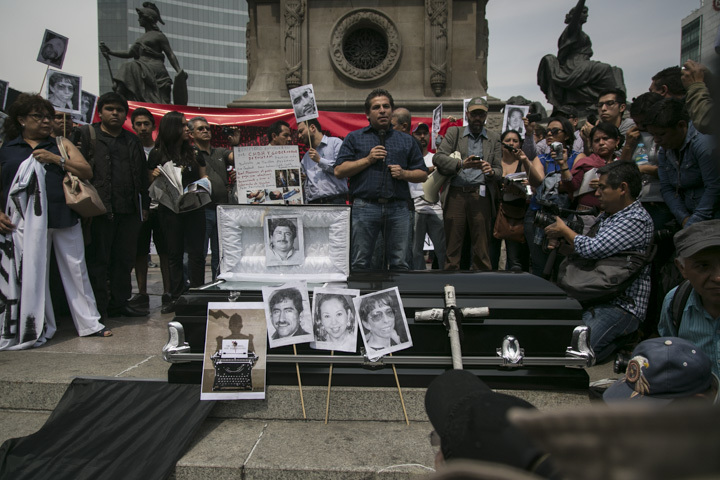 At the protest in Mexico City, journalist Raymundo Perez Arellano spoke about his experience of being kidnapped by presumed members of a drug cartel in the northern Mexican border city of Reynosa in 2010. 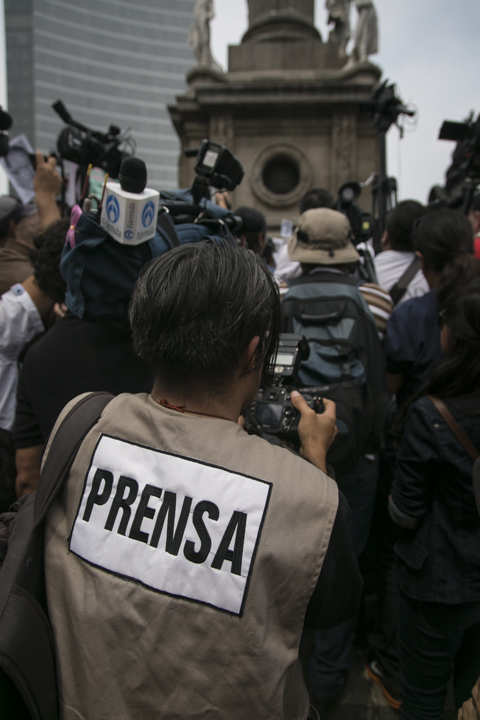 (Press)- Many journalists that cover Mexico’s war on drugs or touch on the theme of state corruption are often forced into self-censorship due to the amount of threats they receive for their work. 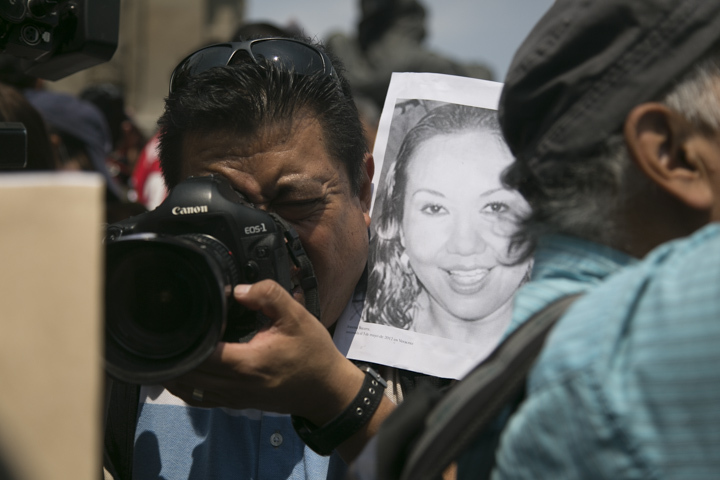 In 2012, Regina Martinez Perez, veteran journalist of the acclaimed news weekly magazine Proceso was found murdered in her home in Xalapa, Veracruz. 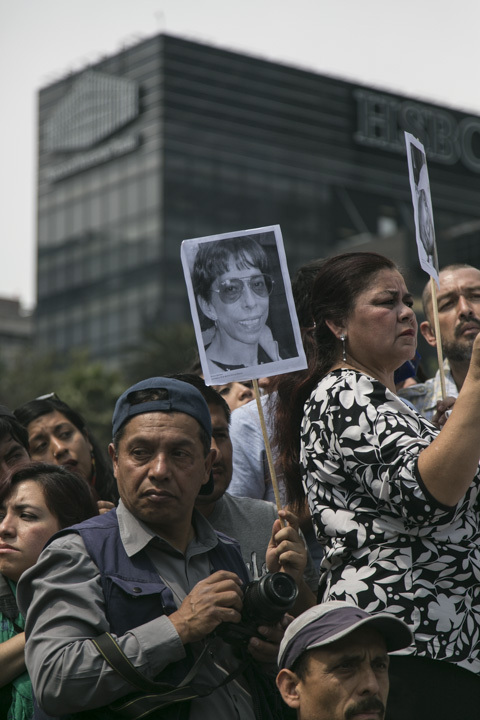 Many human rights and other media organizations argue that the official investigation of her murder has been wrought with irregularities. 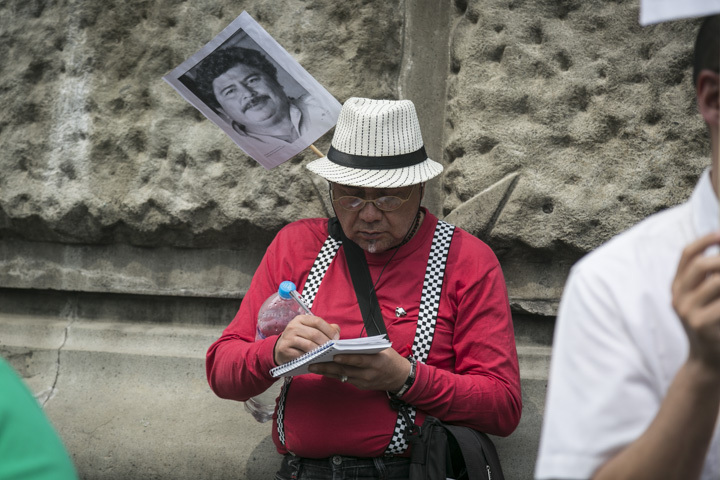 Martinez Perez wrote about crime. 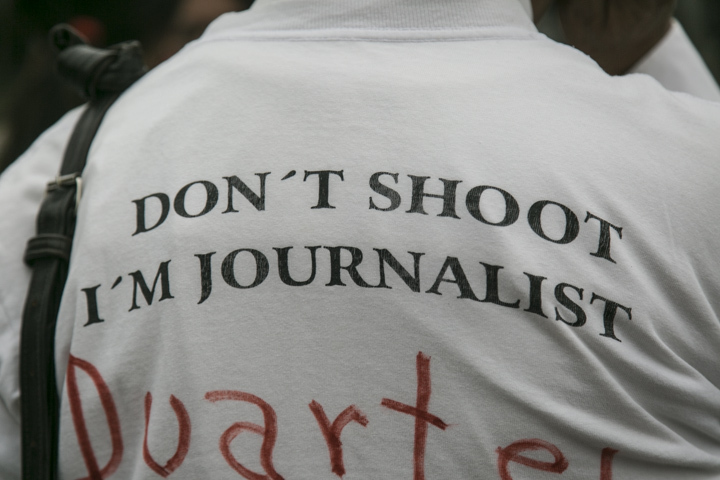 Although journalists in Mexico are often targeted by elements of crime or by the authorities, most proudly declare that their commitment to their work, to making sure information gets to the public, will not be stifled or censored… no matter what the consequences may bring.